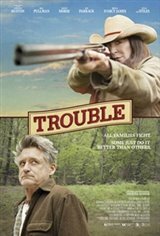 Maggie (Anjelica Huston) and Ben (Bill Pullman) are middle-aged siblings who don't care for one another. Although Ben, a perpetual screw up, sold his share of their father's estate to his sister years ago, he returns hoping to build a house and a new future. With an acquaintance (Julia Stiles) in the Bureau of Land Management ready to falsify records of the original sale, he hashes out a plan to regain the property while smoking joints with good friend Gerry (David Morse). Maggie must decide how to react as sibling rivalries renew.